From the title of this post you’d think that this was a photo of the demolition of Didcot. 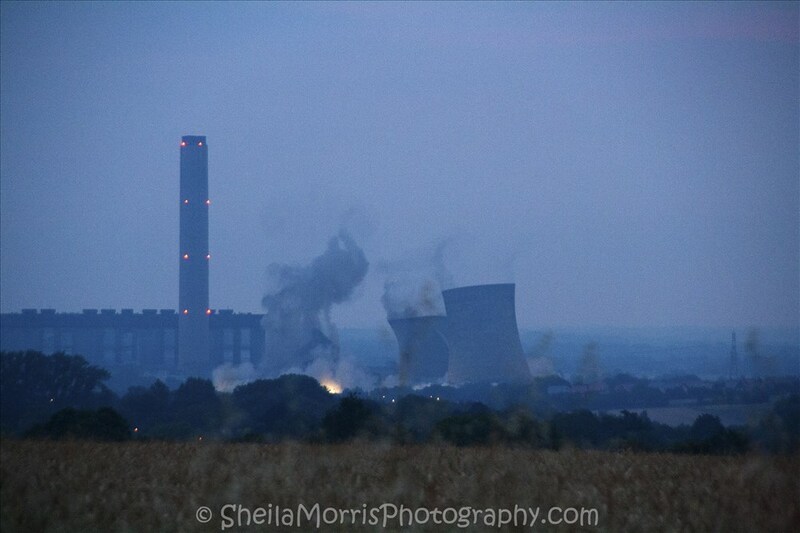 Some may argue that’s not a bad thing, but this post is about the demolition of 3 out of 6 chimneys from Didcot Power Station. The power station shut down back in 2013 and it took almost a year before these 3 chimneys came down. When the date and time was annouced, there was a big campaign here in Oxfordshire to change the time of “blow down”. In the weeks leading up to the event, it was revealed that it would take place between the times of 3am – 5am. For those that live in and around the towers, this was far to early and given that they have been around for many years, many wanted to hold demolition parties. Unfortunately the timing of the demolition didn’t change, but that didn’t stop most of the people of Didcot and the surrounding areas from getting up early, or like me staying up all night, to find a good vantage point. Luckily me and a couple of others managed to find a good spot, but we were soon joined by many other who had the same idea as us. Then, after several delays, the towers came down at 5am on July the 27th 2014. Now that the event has been and gone, I’m quite glad that I stayed up and photographed this event. I’ve never seen a live demolition before, it was an awesome sight to see and hear even if it was over in about 15 seconds.